The area, Cabo Delgado province which is expected to become the centre of the country’s nascent natural gas industry after several promising discoveries, has seen a number of deadly assaults on both security forces and civilians since October. “The bandits used machetes to kill the seven persons. We think this group is likely part of the (one) that beheaded 10 (people on) May 27,” police spokesman Inacio Dina told AFP, referring to an attack last month in the same region that was also blamed on jihadists. The assailants burnt down 164 houses and destroyed four cars during the assault on the village of Naude in the Macomia district, the spokesman said of the most recent attack. Police reinforcements had previously been sent to the region to step up security. Dina suggested that the group might also have been linked to the nine “insurgents” killed by security forces over the weekend who were subsequently found to be carrying assault rifles and Arabic-language documents. “This group is very fragmented in small groups (and) they try to resist police attacks,” he said. The May 27 bloodshed occurred in two small villages close to the border with Tanzania and not far from Palma, a small town gearing up to be the country’s new natural gas hub in Cabo Delgado. Two of those killed in the gruesome dawn raids were boys aged 15 and 16. In October, armed men targeted a police station and military post in the town of Mocimboa da Praia in what was believed to be the first jihadist attack on the country. Two officers died and 14 attackers were killed. The group, described by locals and officials as “Al-Shabaab”, has no known link to the Somali jihadist group of the same name. The increase in attacks in the north of the country could pose a problem for Mozambique, which holds general elections next year and hopes to cash in on the recently discovered gas reserves. The vast gas deposits discovered off the shores of Palma could transform the impoverished country’s economy. 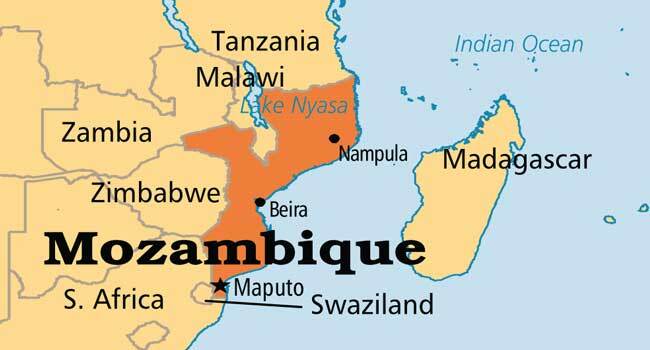 Experts predict that Mozambique could even become the world’s third-largest exporter of liquefied natural gas. But the country’s north has largely been excluded from the economic growth of the last 20 years, and the region sees itself as a neglected outpost, creating fertile ground for radical Al-Shabaab-style ideology. Mozambique last month passed an anti-terrorism law that punishes terrorism activity with more than 40 years in jail.